On Thursday, March 15, members of the WMPRSA joined one another for a discussion about “Politics, Protests and PR”. We welcomed two representatives from the Gerald R. Ford International Airport, Lisa Carr, Public Safety & Operations Director, and Tara Hernandez, Marketing & Communications Director for the airport. This past January, the two women dealt with two separate protests against President Trump’s travel ban (#NoBanNoWall). 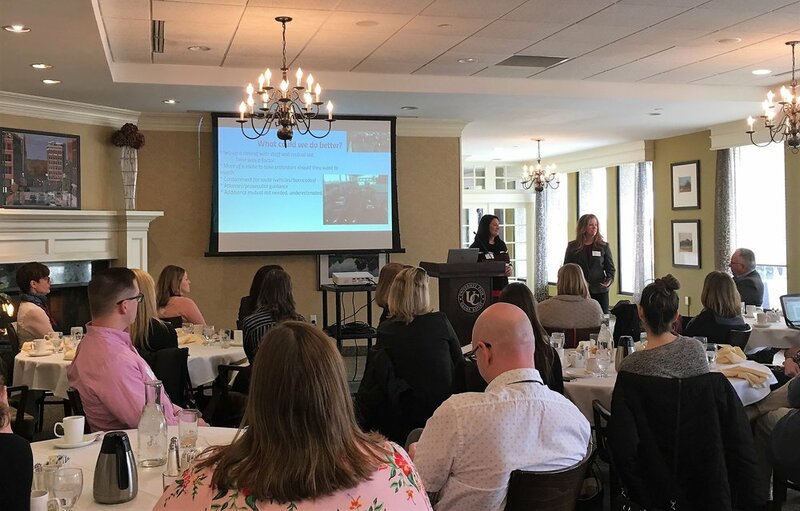 From their experiences, they shared valuable insight on how they stayed on top of the situation to prevent drastic issues from occurring from both safety and PR standpoints. With an average of 7,000 people coming in and out of the airport each day, and an estimated 1,000 protesters planning to attend, Lisa and Tara knew they needed to act fast. Tara immediately joined the protest event page on Facebook and was able to sit down with the organizer of the protest to gain insight to better plan for the protest and control the situation.